the new york public library is hosting a FREE program called handmade: then and now, hosted by jessica pigza (check out her blog! ), a librarian in the NYPL's general research division on august 19, 2009, at 6pm, at the stephen a. schwarzman building at 5th ave. and 42nd street. 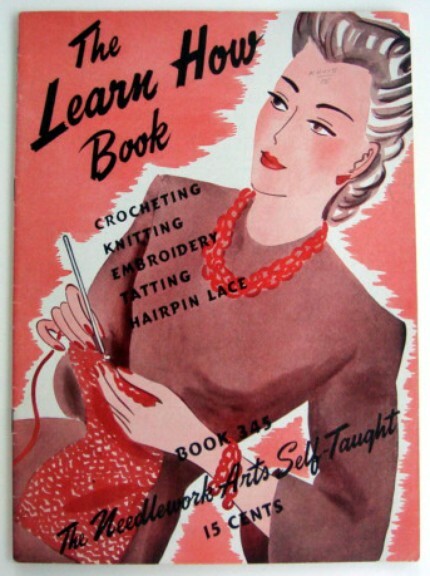 "Are you a fan of vintage patterns for knitting, crochet, and more? Do you like to make stuff? Does craft history pique your interest? Crafty librarian Jessica Pigza explores how NYPL’s books, magazines, and digital collections can inform and inspire you in your own handmade work." search for the class name if interested in more information about the class, etc. on the the new york public library's website. it's my baby-girl's FIRST BIRTHDAY that day (!!! ), but perhaps i can sneak over for a listen after sundown/baby-bedtime...?